Tom Heaton has come to AHOY from DS.Emotion, where he spent two years as the Creative Director of the Manchester studio. Prior to that, he was a senior designer at Raw for nearly seven years, working on a huge range of sports brands and organisations. Concept-driven and passionate about all things typography, Tom is a multi-award-winning designer who was also a UK dodgeball quarter finalist in 2006; an inter-agency tournament may be announced in the near future. Fancy following Tom on social media? Account director Matt Smith joins us from Byte Resources, a creative and marketing recruitment agency, which he founded. 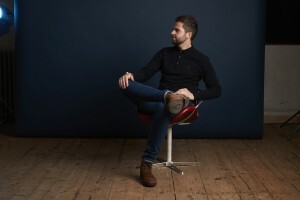 Previously, he spent 12 months in account management at Manchester branding agency True North, having come to his senses and moved up north from London, where he’d spent five years at branding and packaging agency Design Bridge. With a degree in Marketing and a passion for the food and drink industry, Matt’s well placed to take the lead on a number of our key accounts. Which is good, given that he’s our account director. Out of hours, Matt enjoys socialising and playing squash. Lorrie Hartshorn has joined us in-house on a part-time basis, bringing with her more than 14 years’ experience in content writing and content marketing strategy. Fluent in several languages, Lorrie is a big fan of grammar, etymology and puns, which is surprisingly useful in a branding agency. When she’s not here at AHOY, she can be found running her freelance business, writing fiction, or wrangling her toddler. Fancy following Lorrie on social media? Prior to joining AHOY, self-taught front-end developer Matt Mcclatchie spent two-and-a-half years in a design and development role at First 10, previously Fist of Fury, in Leeds. Following his move to Manchester, UX and design expert Matt pinpointed AHOY as an agency he’d love to work with, and sent over his CV. The rest, as they say, is history. So there we are: four cracking new people in house, bundles of talent and, let’s be honest, a wealth of good looks. AHOY is on the up.